Drawing from years of experience covering Syria for Vanity Fair, Newsweek, and the New York Times, award-winning journalist Janine di Giovanni gives us a collection of reports from the war-torn country, all told through the perspective of ordinary people?among them a doctor, a nun, a musician, and a student. 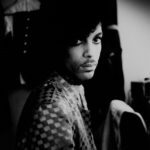 Ms. di Giovanni writes here with urgency and anguish — determined to testify to what she has witnessed because she wants 'people never to forget.' Her sorrow comes through in the writing — in the book’s staccato sentences, in its flashbacks to similar scenes of suffering in the Balkans, in its helpless empathy for people she met in Syria, like the ailing woman in a hospital who begged her to take her children away to some place safe ... Leaving Aleppo, she writes, she did her best 'to take photographs inside my head, pictures that I would remember, that would show a country that no longer existed.' Her testimony is contained here in this searing and necessary book. Reading this book by the war correspondent Janine di Giovanni is at once necessary, difficult and elating. Her reporting from the Syrian revolution and war is clear-eyed and engaged in the best sense – engaged in the human realm rather than the abstractly political...Wherever the location, Giovanni always understands the conditions she works under, and never exploits a fresh reality in order to spin a preconceived fable. Her method is to present sufficient information for the reader to draw their own conclusions – the connection, for instance, between rising jihadism and soldiers shooting men dead if they refuse to declare Assad’s divinity. Such reporters as Giovanni, who not only visit but also live (and often die) through wars not their own, are heroic. The power with which di Giovanni delivers these scenes is blunted by overwrought prose, and as an impressionistic memoir, there’s little in the way of historical context or analysis. But that’s not the book’s purpose. Instead, it’s a haunting reminder of what the Syrian revolution, ultimately, is about. 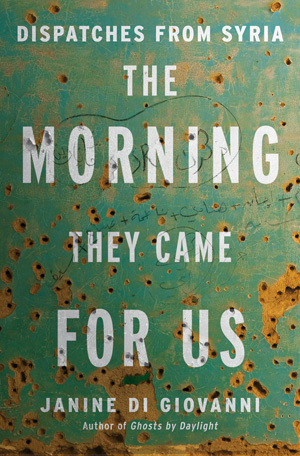 What did you think of The Morning They Came For Us: Dispatches from Syria?